The clock tower of Bruck an der Mur is part of Landskron Castle (Burgruine Landskron) high over the city. 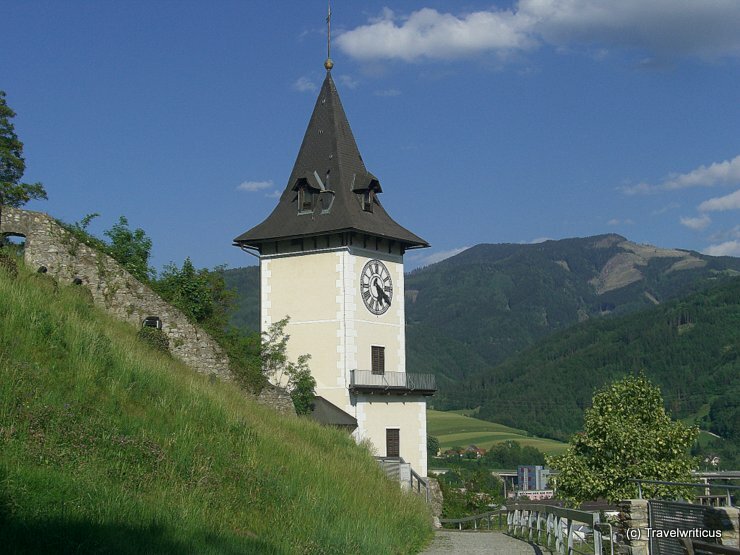 This entry was posted in Public Clocks, Towers and tagged Austria, Bruck an der Mur, Styria by Travelwriticus. Bookmark the permalink.